Average 4.67/5 out of 3 total votes. Returning from her last adventure, Robyn is back in New York, and looking for some sort of normalcy. But not everyone feels she deserves any, the universe included. After a close friend is attacked, Robyn must take it upon herself to get to the bottom of this mystery as she is pitted against her greatest adversary yet, when she becomes public enemy number one, to the city she calls home. 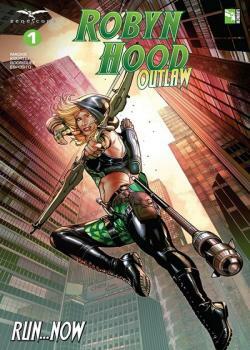 Don’t miss this fast paced bare-knuckle, new series, Robyn Hood: Outlaw!